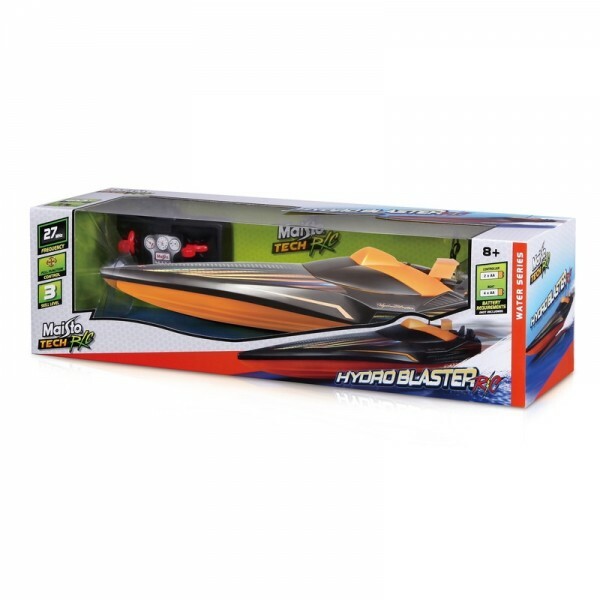 Be the captain of your very own remote control speed boat with this hydro blaster RC. Use the controller to glide across any body of water with speed and agility. Its cool, prestige design is set to make any other captain jealous of your slick ride. This product can excite your children for hours of fun play on a trip out to your local pond, lake or private swimming pool. The controls are very simple to use whilst being extremely responsive - for a thrilling ride around the pond. Have long lasting fun with your friends and siblings by using your skills to race; either using another speed boat or a stopwatch.